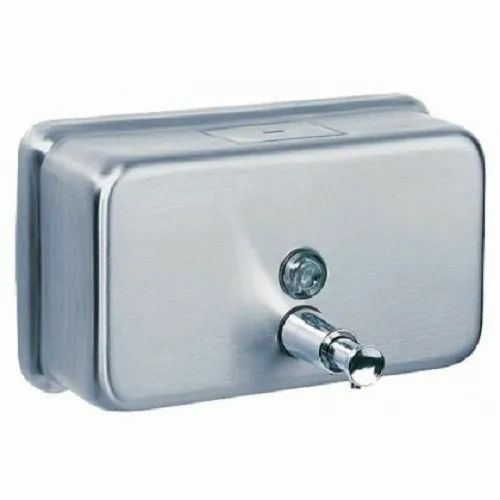 Washroom Soap Dispenser offered find application in public locations as well as private establishments and are based on touch less technology with infrared sensor providing assistance in detecting energy emitted from hand and triggering pump to dispense required amount of soap solution. These are ideally suited for containing spread of germs as well as bacteria and assist in keeping homes clean and safe. We Technocrat Enterprises were established in the year 2001. Since inception we have been the leading Wholesale Trader and Retailer of Water Taps, Hand Dryers, Air Curtain, Urinal Flushes etc. In the swarm of other traders and suppliers of the similar industry we have been able to make a distinct place for ourselves by supplying quality products to the customers. These products are widely appreciated for the features like energy efficiency, modern looks, colors, excellent finish and several other features and find their application in both commercial and personal consumption. We are looking for the queries from Pune.